Scientologists take the first steps on their path toward spiritual freedom with beginning- and intermediate-level services at their local Churches of Scientology. The higher-level study and practice of the religion takes place at Advanced Scientology Organizations. 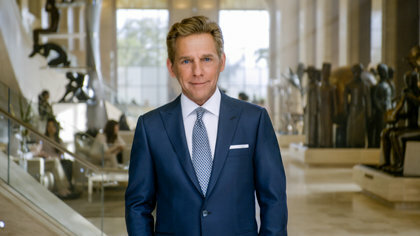 David Miscavige took L. Ron Hubbard’s vision of establishing Advanced Organizations in strategic locations around the world, and is making it a manifest reality. His mandate and goal is the forming of Advanced Organizations on every continent. As the name implies, these organizations open the gateway to the highest levels of spiritual development. On February 15, 2014, Mr. Miscavige dedicated the new Advanced Organization for Europe in Copenhagen, Denmark, established to serve parishioners from more than 50 nations. 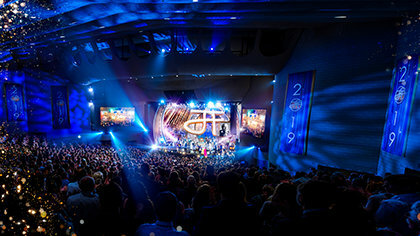 In 2014, Mr. Miscavige fulfilled L. Ron Hubbard’s vision of establishing an ideal spiritual center in Europe with the inauguration of Europe’s Advanced Organization. Located in Denmark’s cosmopolitan capital, the city of Copenhagen, a multinational staff delivers upper level Scientology courses and counseling. Inaugurated by Mr. Miscavige on March 8, 2014, the Pacifica Bridge comprises 3 new Churches providing ascending levels of Scientology training and counseling. One month later in 2014, Mr. Miscavige inaugurated not one but three Churches simultaneously. Collectively known as the Pacifica Bridge, it serves the world’s largest concentration of Scientologists. From this single location, at the Los Angeles facility one can ascend from introductory services to increasingly higher plateaus of spiritual attainment on a street named L. Ron Hubbard Way. Before some 2,000 celebrants, Mr. Miscavige dedicated the restored and expanded Advanced Organization at Saint Hill, England, on October 18, 2015. Saint Hill carries special significance in Scientology history. It is where Scientology Founder L. Ron Hubbard lived, researched and accomplished his revolutionary discoveries on the mind, body and spirit, and built the foundation for the religion’s dynamic future. Saint Hill is also where David Miscavige trained in his youth as a young prodigy in the early 1970s, becoming the youngest professional auditor on the planet. Mr. Miscavige personally guided the dramatic restoration and expansion of the legendary Saint Hill estate on 60 acres of English countryside to realize Mr. Hubbard’s vision of a place where any Scientologist could come to train. An inaugural ribbon falls for the Advanced Organization of Australasia on September 4, 2016. From finding the premises to directing its complete renovation, Mr. Miscavige saw to the full transformation of this site north of Sydney Harbor. The Church’s beacon of freedom for the Asia Pacific region in Sydney, Australia, is an architectural masterpiece. Its soaring windows open onto views of a national park, where kookaburras trill at dawn and dusk. The masterfully restored 145,000-square­-foot building is a physical wonder that embodies the spirit of Scientology itself. Not only did Mr. Miscavige personally locate the premises, he oversaw the renovations and the transformation of the property into the spiritual oasis that stands today—the Advanced Organization for Australasia serving Scientologists from Japan to Tasmania.